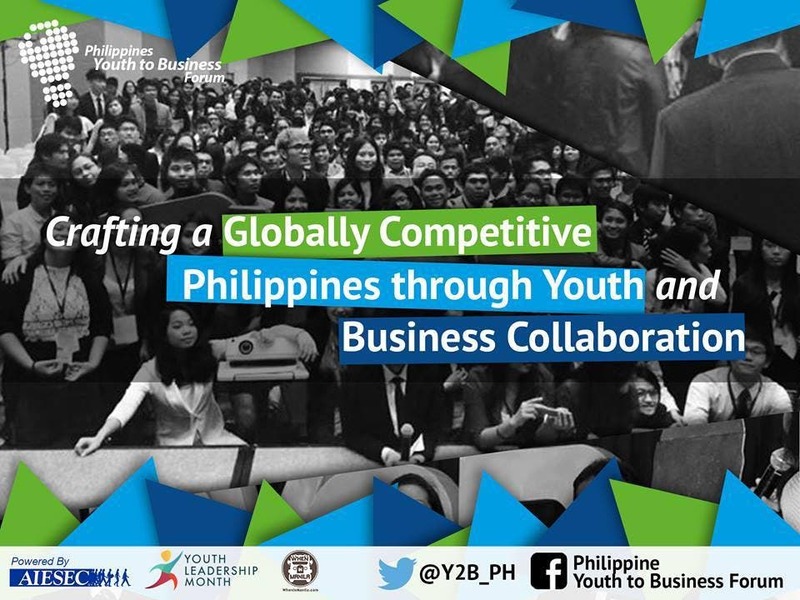 On its 3rd year in the Philippines, the Youth-to-Business Forum (Y2B) is coming back this March 31 as part of Youth Leadership Month (YLM), with the theme: The Philippines Leading the Change in ASEAN 2015. With the same vision of creating an intergeneration, collaborative platform between the youth and business leaders, it aims to elevate the importance of leadership within the business sector, and how it can help empower and mobilize its members and the business-oriented youth to contribute to nation building. The one-day event’s key activities include talks and coffee sessions on globalization, leadership, and excellence, and direct interaction with members of the business sector. Leaders, both young and professional, with diverse backgrounds and experiences will share insights and gain new perspectives to push the Philippines forward through globally competent and competitive entrepreneurial leadership. College students nationwide and across all fields, members and leaders of student organizations who are interested in business and strongly believe in the contribution of the influence and potential of the sector, and youth empowerment are called to step up and take the LEAD! Youth-to-Business Forum will also take place in Cebu this coming March 29 which aims for a globally competitive Visayas through inclusive growth and youth involvement.